Neil ran his first marathon over 30 years ago and completed his first triathlon over 20 years ago so has some longevity in endurance sport. 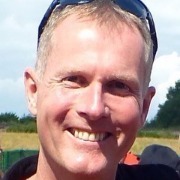 He has been a UKCC Level 3 Coach since January 2007, as well as being a British Cycling Club Coach and ASA Swim Coach. During his career as a professional coach through his company Performance Edge, he has worked with Runners, from those looking to complete their first 5k through to double Olympians and the Kenyan National Squad, and Triathletes, from those looking to finish their first ever sprint event, through Age Group medalists at World Championships, Ironman Age Group winners and the Elite Squad at the University of Bath.His particular drive is to improve efficiency in endurance athletes. To that end he works to combine his understanding of high level coaching and racing in order to stay ahead of the competition utilising up to date and evidence based training techniques that will be beneficial to all levels of athlete that he works with. 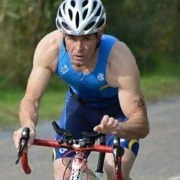 Kyran has been a triathlete for around 16 years. From a young age he has predominantly been a swimmer. Moving into triathlon at the age of 12 led on to his selection for the national junior squad where he competed for 5 years. Since growing old and finding that magical first grey hair Kyran has turned his hand to coaching and obtained his level 2 UKCC triathlon coach in 2015. He also has a ridiculous obsession with pizza. Steve has been a triathlete for 10 years since retiring from a lifetime playing rugby. The spirit and enthusiasm he found in triathlon gave him a new impetus and a second sporting life. Realising that he could never keep up with Derek Halley, he quickly went through the coach education programme and has been a level 2 coach since 2012. Since returning from a short spell overseas, Steve was delighted to find a strong, lively club with many new member competing at all levels, and has enthusiastically rejoined the coaching team. Steve participates predominantly at sprint distance, at the back of the pack, and his ambition is to get off the back page of the results sheet. Steve is a firm advocate of triathlon as a participation sport, and believes that everyone can learn to swim, ride and run; can compete and achieve; and most importantly, have enormous fun along the way. Lynn has enjoyed participating in sport for over 20 years. 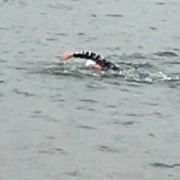 She completed her first triathlon about 5 years ago, after learning how to swim and has since enjoyed participating in a wide variety of triathlons. Lynn completed her first Ironman in 2016 and hopes to continue to enjoy competing in the longer distance events. Lynn completed her Level 1 coaching qualification only recently and she would like to use this qualification to encourage members to achieve their goals and to believe that “Anything is possible”. 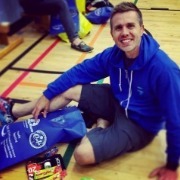 Coming from a running background, Andy has been taking part in Triathlon for over two years and has raced for the club at Sprint, Olympic and Middle Distance level. He joined the Perth Triathlon Club coaching team in March 2017 and is keen to help club members improve their performance with triathlon specific training sessions. As well as triathlon he enjoys hillwalking, rock climbing and making sure everyone signs up to Strava! Sylwester, or Sly as he’s affectionately known, comes from a strong cycling background, competing as a Junior for the Polish National Team between 1996 and 2001. Sly returned to sport in 2014 after years of absence and got involved in triathlon in 2015. Qualifying as a coach in 2018, Sly likes to focus on bike related training but with the overall triathlon in mind. In his own words he’s a straight talker, but a big softy at heart! Coming from a swimming background Hazel competed in her first open water swim (as part of a triathlon team) aged 14, got a road bike for her 16th birthday and has never looked back. 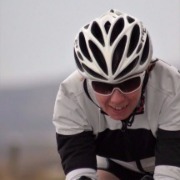 Since then she’s competed in sprint, standard, middle and cross triathlons, went to uni and joined EUTri where she started coaching and completed her level 2 coaching qualification. Hazel recently moved to Perth and is keen to get involved in coaching here too! Her main aim through coaching is simply to encourage more people to get involved and spread the word that triathlon is a welcoming, beginner friendly and social sport! Dek started training when he was about 19 with his main sport being Kyokushin karate which he was involved in for around 22yrs. Following on from that Dek started running and then got into triathlon about 10yrs ago. 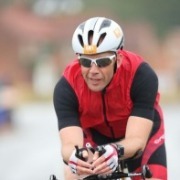 He enjoys taking part in sprint and olympic distance triathlons as well as any other multi sports events. Dek gained his level 1 triathlon coach award in 2012 and was also awarded Triathlon Scotland participation coach of the year 2013. Ivan's Triathlon life started back in 2010, completing 10 sprints events in 1 year. Going 'long' quickly became the aim eventually completing his 1st Ironman in 2016. Firmly in the middle of the pack in all distances his focus is on enjoying the process of training and completing events. Ivan hopes some of the experience he has gained will be of value to Club members, whether their focus is completing or competing..
David was county and district champion on the running track before switching focus to volleyball where he was a member of the famous Kilmarnock team which won many national trophies in the late eighties and early nineties. On retiring from the court David returned to running on a recreational basis before discovering the sport of triathlon, completing his first triathlon on a mountain bike and swimming breast stroke. 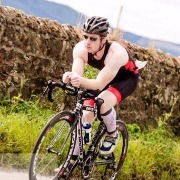 Triathlon has provided a variety of challenges and David has competed at all distances from novice to long distance. 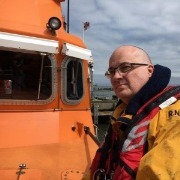 While taking part in events primarily for fun, David also enjoys the challenge preparing for events and the satisfaction from reaching new targets. 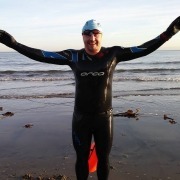 David has recently completed the first stage of the triathlon coaching programme and is keen to help athletes of all abilities get the most out of the sport by coaching sessions or discussing ways to improve performance and helping athletes set and progress towards achieving their goals. Paul started playing rugby at school and continued with the sport until 'retiring' in 2009. 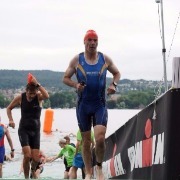 After a couple of years doing nothing sports related, he realised something was missing and turned to triathlon around 2015. Since then Paul has taken part in triathlons, running events, and sportives and enjoys the variety of training required. Shona comes from a swimming background albeit a long time ago! She joined the club as a way of meeting new people and getting fit at the same time. 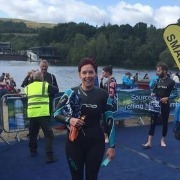 Shona has completed novice and sprint triathlons and last year took part in open water swimming for the first time, which she really enjoyed. 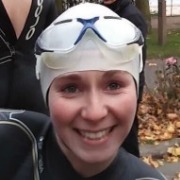 She has recently completed level 1 coaching course and says “Triathlon is a fun way of keeping fit and is open to anyone who is willing to give it a go. It is such an inclusive sport that provides opportunities for athletes whatever their aim in the sport may be.